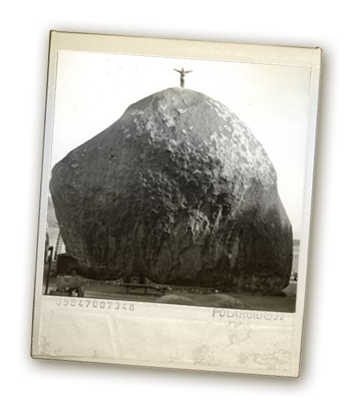 The Giant Rock story began when a mysterious man named Frank Critzer pulled into a gas station in Santa Monica, California for car repairs. George Van Tassel, a young mechanic working at his uncle’s gas station, took an instant liking to Mr. Critzer who told George of his vision of a Big stone located somewhere out in California’s Mojave Desert. Frank was a self educated German immigrant and a follower of some of the greatest metaphysicians of the time such as Nicholas Tesla, Dr. Rudolf Steiner, and Edgar Cayce. Frank wanted to try his hand at prospecting for obscure earth metals in search of the philosopher’s stone. George was so mesmerized by Frank Critzer’s tale of the metaphysical and the promise of great wealth from minerals that he fixed Critzer’s car for free. George not only fixed Citzer’s automobile, but he also gave him canned goods and some additional money for a percentage of all of his future mining claims. Frank eventually found the big stone and carved out a comfortable place to live within the 8 story boulder. In 1942, eleven years after they met, Frank Critzer was killed based on erroneous information that he was a German spy. This unfortunate event propelled George towards his fate. Upon hearing the news of his dear friend’s death, George left his job as a flight engineer and with his entire family in tow, he moved to Giant Rock and opened up a restaurant and airstrip to continue the work his friend had started. 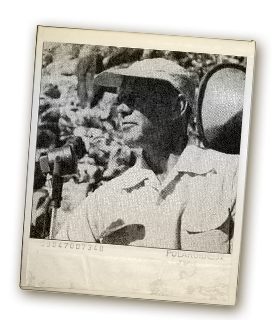 In 1953, George Van Tassel had his own experience with extraterrestrials at Giant Rock. Van Tassel was woken from his sleep by an alien and taken up into a space craft. This extraordinary experience was one of great purpose. George was given the encouragement to begin scientific research in order to perform rejuvenation of human cells. 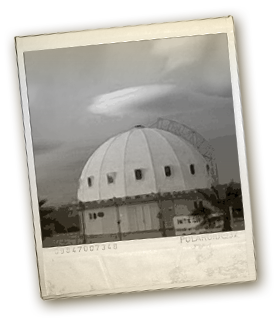 Van Tassel began to build a dome shaped structure called the “Integratron” with the intent of fulfilling human life extension.